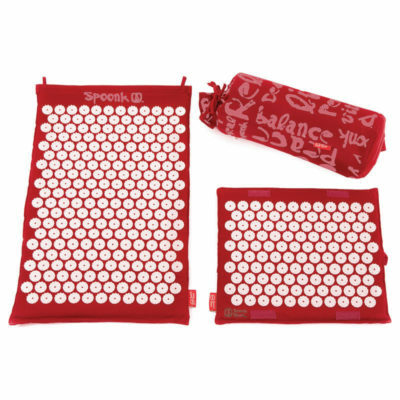 Spoonk 100% Cotton Combo comes with 1 regular mat and carrying bag, 1 travel sized mat that also can be rolled into a headrest for effective neck and head massage, and 1 Groove Ball. • Roll the mat up and use it for a neck and head massage, or for the small of your back. • Has velcro panels to keep it in place. • Lay the mat flat for a back massage or step on it (with socks on) for a reflexology foot massage. 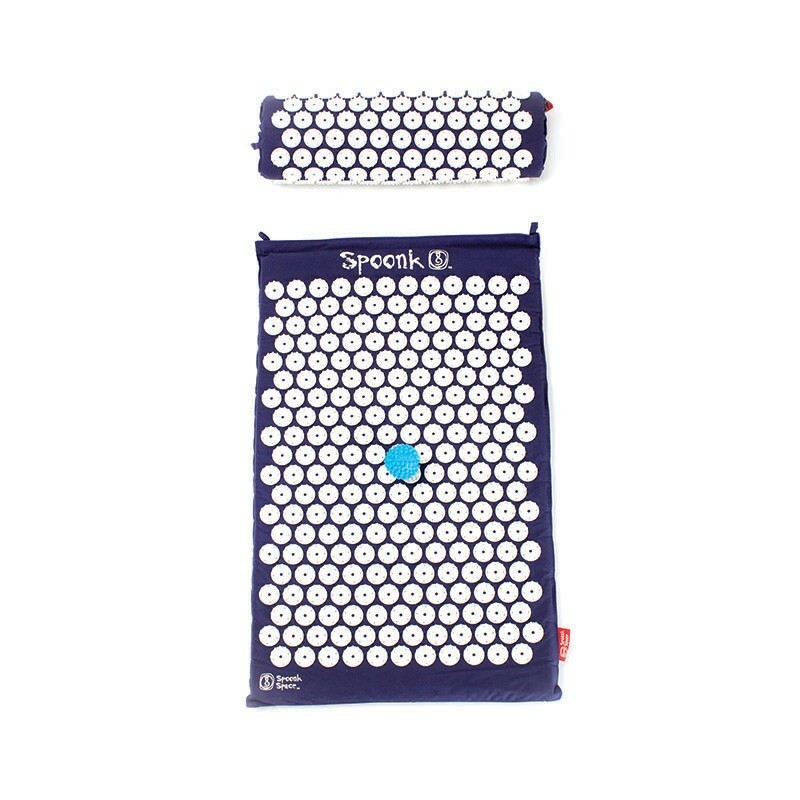 • Press any painful muscle areas against the stimulation points for a deep tissue massage whenever you need to soothe stiffness and reduce inflammation which causes muscle pain. • Spoonk Travel Mats are a small, convenient size and come with a self-carrying strap for easy transport. • On a plane, or a long car ride, nothing works as well for reducing Sciatica pain as the travel Spoonk rolled up and pressed against your lower back area. • Roll the Groove Ball under your feet or between your hands for 3-5 minutes when you feel fatigued. • According to Traditional Chinese Medicine, our feet and hands have specific reflex areas that correspond to the body’s organs. • Reflexology foot and hand massage have a rejuvenating effect on the whole body. Ideal for tired feed, Planter Fasciitis, and other foot ailments.